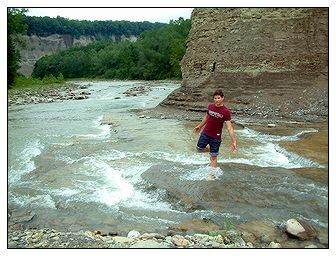 The area where the Main and South Branches of the Cattaraugus Creek meet marking the end of Valentine Flats. A remarkable area to be at. American Bald Eagles have been spotted here. This is a high traffic area, please help to keep it clean - PLEASE, DO NOT LITTER! Enjoy the views and the sound of the creeks coming together. To reach the confluence, take Valentine Flats Road till it ends. At the end of the road you will find a parking lot. Hike into the area designated and follow the trail going to the right. The hike will cover approximately 3/4 mile. 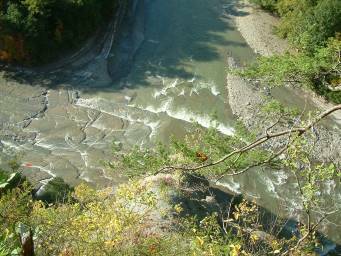 This trail takes you to the bottom of the gorge but it is gradual and not too strenuous. There are some areas that can be tricky after a rain fall as there are some muddy areas to look out for.